The old coal cablewy was used to transport coal from the mines to the harbour. Wherever several cableways met on the way, they were brought together in special facilities so only one continuation was needed for onward transport. 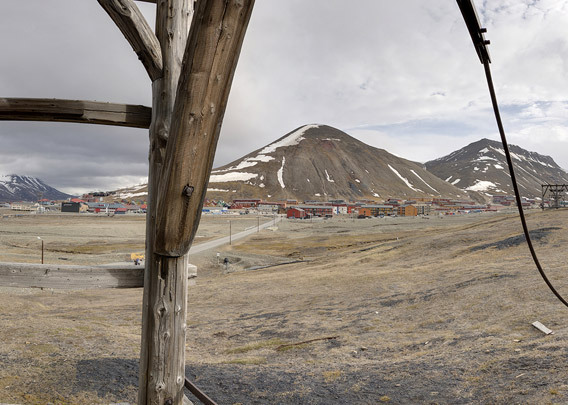 These facilities were the Vinkelstasjon („angle station“ or rather „curve station“) in the mouth of Endalen and of course the mighty Taubanesentrale („cableway central station“) high up in Longyearbyen’s oldest quarter Skjæringa. Because the cableways could only operate in straight lines, special facilities were needed wherever they needed to take a curve. 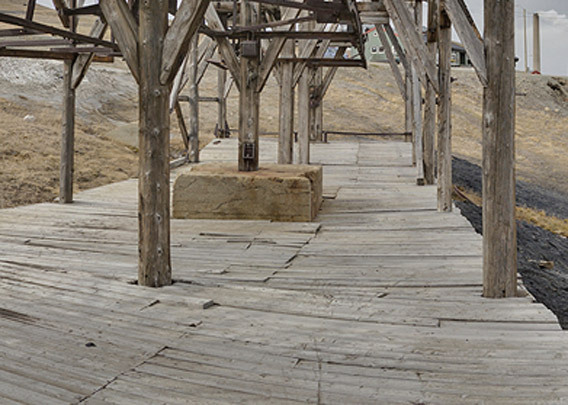 One such curve station (please let me know in case you have a better word) is in Longyearbyen just under the church.